Fairfax Animal Hospital provides pet care and veterinary services to the Falls Church, Annandale, Bailey’s Crossroads, Arlington, Alexandria, and Shirlington communities. Call us at 703-820-2557 to schedule an appointment or make a boarding reservation for your pet before you complete our online forms. Prior to arriving for your boarding reservation, please complete the following form to provide us with care instructions and emergency contact information while you're away. Please print, sign, and bring this form when dropping off your pet. Required for all drop-off appointments that involve medical care for you pet. Access Records, Fill Prescriptions, Schedule Appointments, and more! 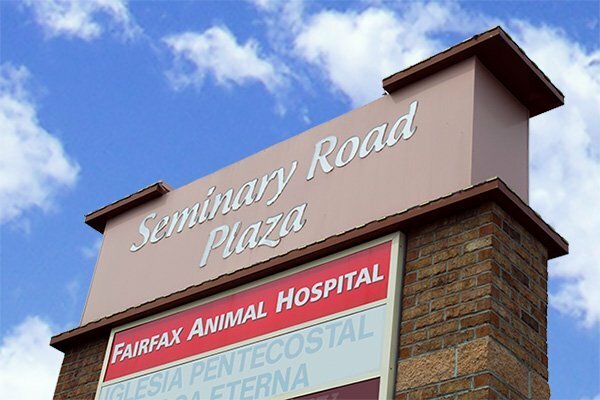 Our facilities are conveniently located in the Seminary Road Plaza, right-off Leesburg Pike (Rte 7) and Columbia Pike in Falls Church, also known as Bailey's Crossroads. For more information about and our facility, our history in the area, and our incredible staff, see our About page! We are pleased to offer 10% off your pet’s teeth cleaning! Patient must be recommended for a dental cleaning and book the cleaning appointment within 30 days of the recommendation to receive a 10% discount on the cleaning. Planning a vacation, family function, or an out of town trip? Take advantage of our boarding services! 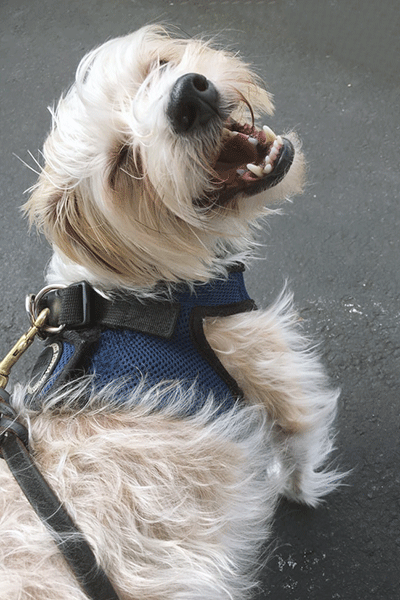 Our services include food/water, several walks per day, as well as lots of love! 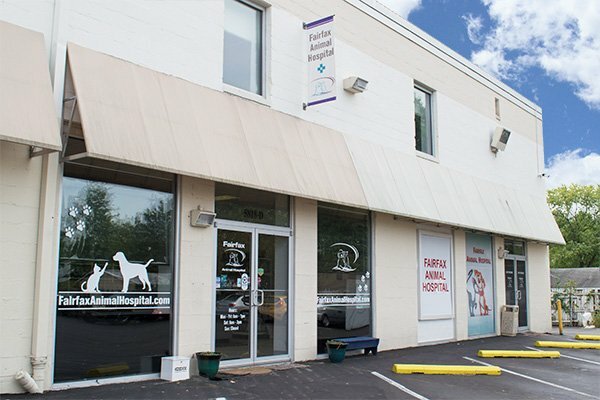 Fairfax Animal Hospital is conveniently located in Bailey’s Crossroads, and serving all of the greater Arlington, Annandale, and Alexandria beltway region. Our veterinarians, technicians, and professional staff use the latest veterinary medicine technology to provide compassionate care to all animals. As a new client of Fairfax Animal Hospital in Falls Church, VA, you can expect our full attention to your pet’s needs at our vet clinic. Our services include routine exams, dentistry, surgerical procedures, xrays and ultrasounds, vaccination and care packages, plus boarding for your puppy, kitten, cat or dog. Click here for more about our Services. When you arrive for your appointment, you will be greeted warmly, and we’ll help you into an examination room as soon as we have one available. Our goal is to see all of our clients and patients on time, and although we have contingencies for emergencies, there will be times where the unexpected will create delays. We will ensure these are minimized as much as possible.